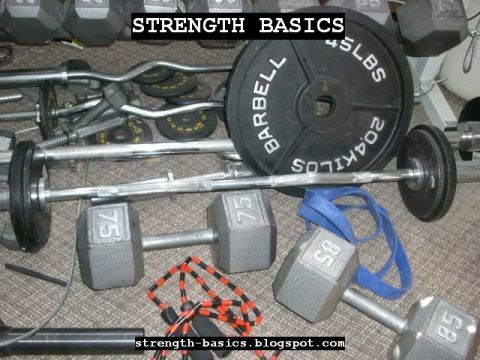 Strength Basics: Training Beginners - Boring? One of my clients remarked to me the other day, "This must get boring." This meaning what? "Beginners." Actually, no. For me, it never gets boring. One of my friends trains athletes pretty much exclusively. He teaches running mechanics every week, year in, year out. Jump mechanics. Landing. Cutting. Throwing. You name it, he teaches it. Does getting amateur and professional athletes better get boring? Not to him. He clearly loves his work. I'm the same way with teaching the basics to beginners. You watch someone go from totally unable to do something as intended to getting it done. I've coached people from being unable to balance on one leg to single-leg squatting. From being able to do only a single pushup on a 45 degree angled barbell to multiple pushups off the floor. From in pain constantly due to muscle imbalances, excess weight, and nagging chronic misuse of their joints to remarkably pain-free movement. It's not magic - I'm not a doctor, I'm not doing surgery, I'm not prescribing medication. I'm just teaching movement within the bounds of what you can do now and expanding those bounds. I get great satisfaction out of my role in helping people get back their athleticism. Or get back their movement. Or learn how to do some basic exercises, learn the gym lingo, and go off on their own with improved confidence. When someone goes from "can't" to "can" you've been a part of giving them back control of their lives they had lost. It doesn't matter if that loss was due to misuse, neglect, or misadventure. It's giving someone the knowledge and the specific steps to succeed. I put food on my table and keep a roof over my head with my training knowledge and my time. It's not just a hobby, it's a passion. It's work, but it's work I love to do. I chose this career and I enjoy going to work and giving people the tools and knowledge they need today to get them one step closer to the tomorrow they want. That doesn't ever get boring for me.